'Tis the season to join us at C1 for an interactive movie event for the whole family! * Come in your PJs to watch the Polar Express on the big screen while elements from the movie come to life around you. Pick up your golden ticket for event entry with your ID or printed iTickets confirmation email at will call in the church lobby Monday & Tuesday Dec. 4th & 5th from 9am-12pm or before the show at Will Call 1 hour before showtime. *Tickets are reserved floor seating and general admission balcony seating. No admission without a ticket. For your safety NO lap seating; everyone, including infants in car seats, must have a ticketed seat. 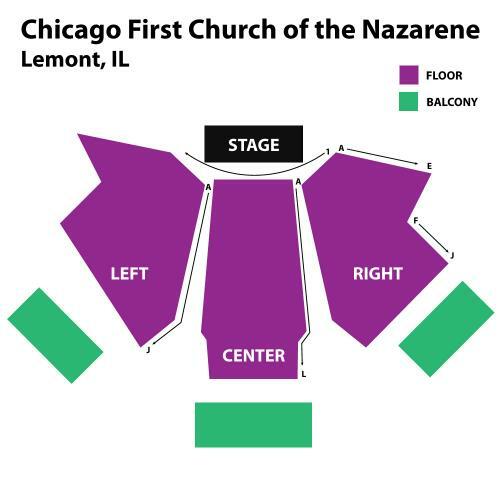 RESERVED FLOOR *For wheelchair accessible seating, please call the church at 708-349-0454. GENERAL ADMISSION BALCONY *Stair access only. Seating is first come and first serve within the section.